I went to the beach last week. It is officially summer here in the Philippines and an opportunity knocked to explore a beautiful island called Calaguas. I just came from another trip a few days before heading to Calaguas. The only time I had to do my nails was the night before we left Manila. Talk about pressure! All I could come up with is that I want to paint my nails pink! I chose a shimmered polish since I knew I'd be under the sun most of the time. The shine would look amazing under sunlight, I thought. So I used Dazzle Dry Tiger Lily in 2 coats. It was pink and it was hot. It was perfect! 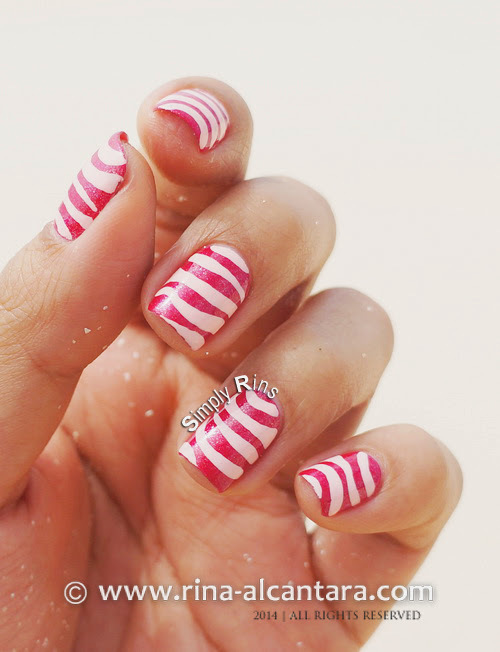 This freehand nail art design was painted using acrylic paint and a striping nail art brush. The girls I was with said it looked like waves, hence the name of this nail art. They liked it and that made me appreciate this simple design even more. There's no precision needed when painting this design and yet it looks interesting when worn on the nails. Well, one thing is for sure. This design is a time saver and I love it! I didn't have time to take photos at my studio so I took these pictures on the beach! I hope you don't mind the sand that stuck to my hands during the shoot. Taking the photos was also a challenge. The sun was really high that it was seriously difficult to look at the camera's LCD just to make sure the composition is good. Everyone was busy exploring the island and I really didn't want to bother anyone so I had no help. 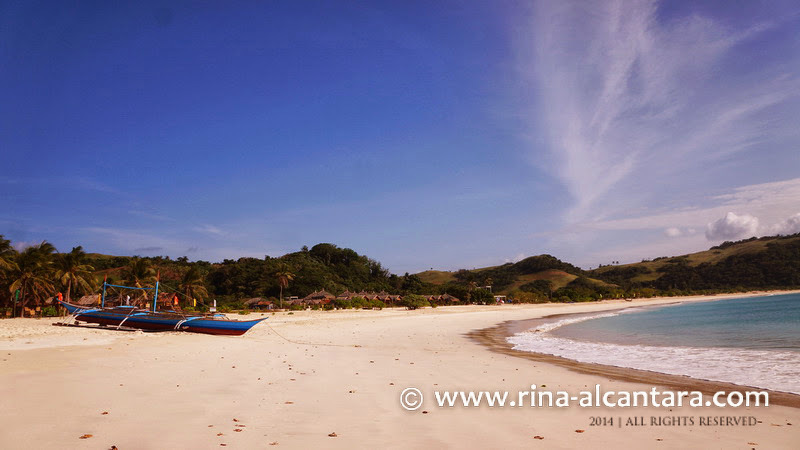 I am not particularly fond of crowds so I really enjoyed the weekend in Calaguas Island. The water was super clear, the sand was powdery, and most of all, the island haven't been developed or commercialized yet. It was the perfect getaway to relax and destress. There was no electricity in the island. We camped, cooked our food, and enjoyed the company of one another. We stayed for 2 nights and no one complained. It was a wonderful experience and I don't mind coming back. But I have to think of another nail art design for the next visit of course. As of this post, I am on another adventure. Too bad I didn't have time to do my nails since I only had a day to rest. After returning from Calaguas, I flew the next day to my next destination. Anyway, there'll be more nail art when I return because I am itching to do some summer nails! Did you like this one for my beach adventure?